As I’ve mentioned before I have a love of paint. I just think it’s so excellent that you can spend a little money on a can of paint and totally transform a space or an item. Painting furniture can be arduous to say the least. If your item has a glossy lacquer on it you have to strip it, sand it, and prime it before you even get started. The thought of all that prep work got me started with chalk paint. There are many brands of chalk paint, but I am brand loyal. I highly recommend Annie Sloan. With this paint no prep is needed at all. Regardless of your color scheme and taste, there is sure to be a color that will work for you. For this project I chose Duck Egg Blue. While shopping for your paint you will also need to make a decision about what type of wax you would like to use. This wax will seal the furniture, and can be either be buffed to a shine or left matte. I personally love the look of the matte finish. Once you get your paint and wax in hand, follow these steps to get your perfectly painted furniture. 1. First things first. Find a piece of furniture that will look lovely distressed – even better if it has some detailed wood work. 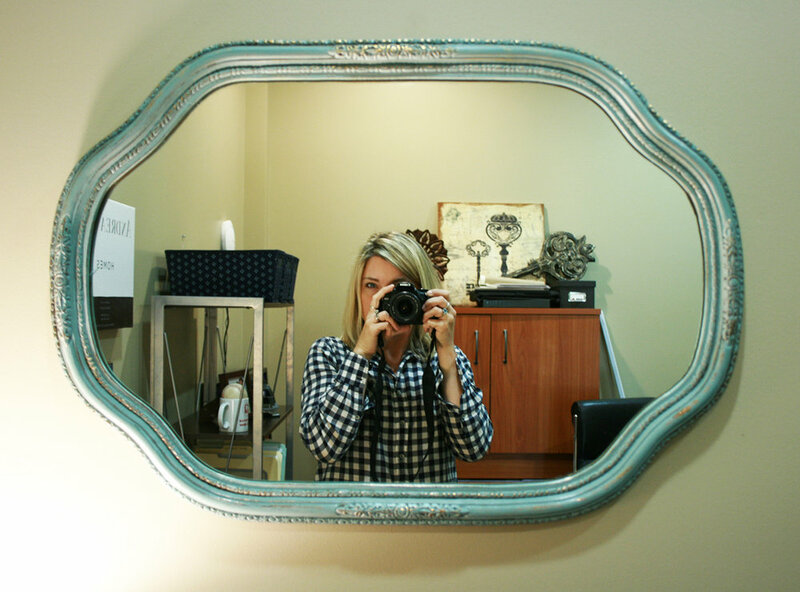 I found this mirror at a garage sale and thought it would be just perfect in my office once painted. 2. Give it a good wash. No need for any fancy cleaners, just a little dish soap and some hot water will do the trick. – Now wait for it to dry. 3. Collect your supplies. 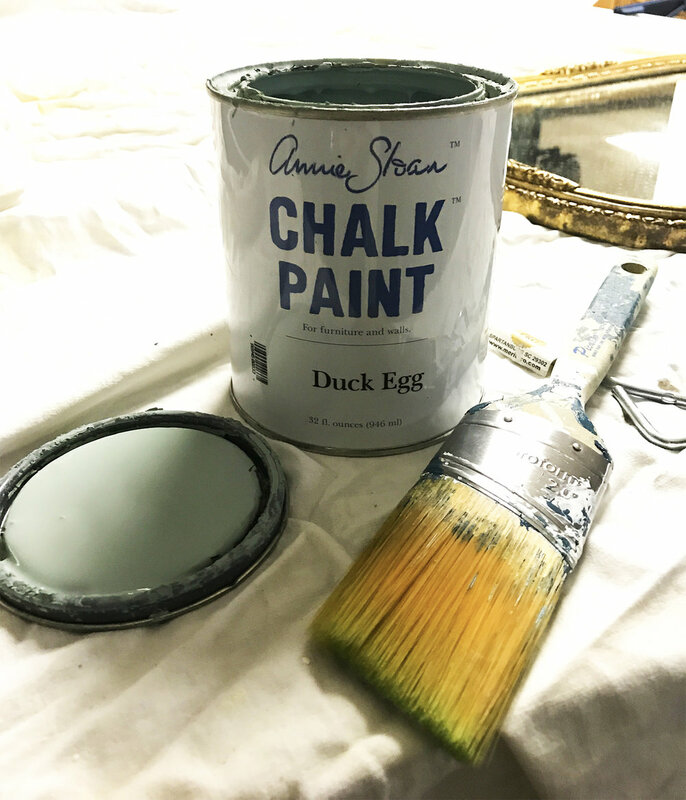 Although Annie Sloan sells brushes and other accessories, a regular ‘ole paint brush will work just fine. You will also need fine sandpaper or steel wool, the paint, wax and an old rag. 4. Now comes the fun part… painting. When getting started, don’t coat the paint too thick, you don’t want any drips. This paint performs better with many thin coats. It also gives you a lot of options to create different finished looks. If you want some of the original wood to peek through you can just paint one thin coat and leave it at that. If you don’t want any wood to show through you can apply multiple coats or even do different color coats so that when you sand the secondary color shows through. 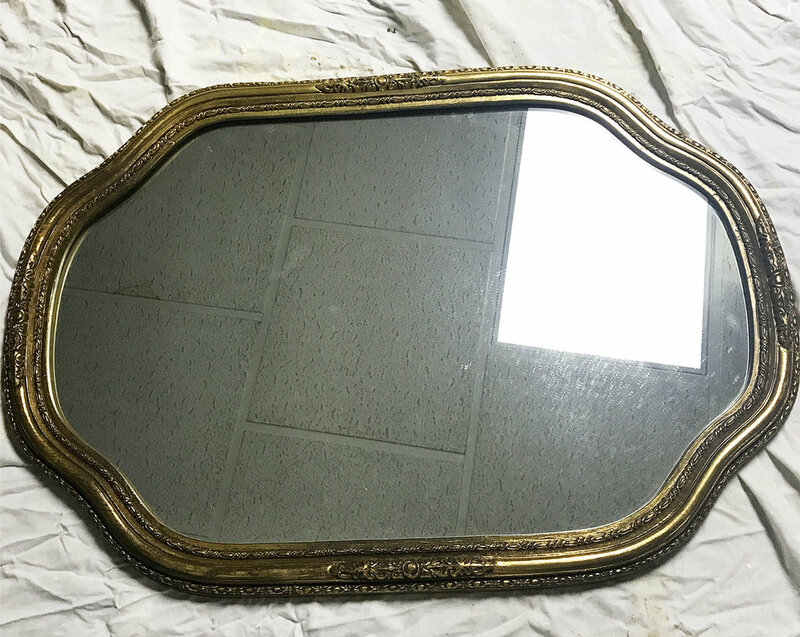 On this mirror I just wanted a simple single coat because I wanted the gold to show through. After the one coat was dry I used steel wool to buff up the finish. When you sand the paint, the raised areas and corners of the wood work will show through the most. This will give a nice antique look. 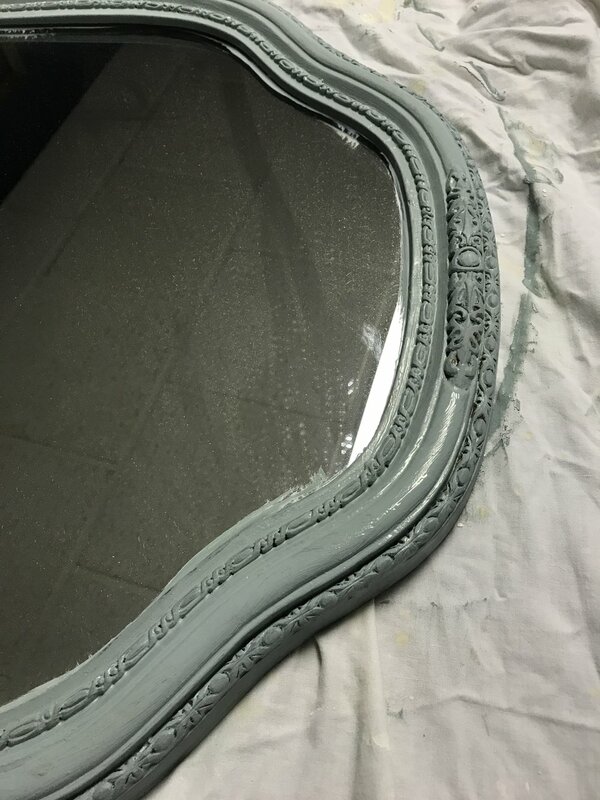 Keep in mind that if you sand too much or sand an area you didn’t intend to, you can always apply a little more paint and start over – that’s the beauty of this whole process… super simple and fool proof. 1. After you are satisfied with your amount of sanding you can move on to the waxing stage. There are a few different waxes to choose from including a clear and a dark wax. The dark wax will add an antiqued look, or you can just use the clear to seal in the paint. 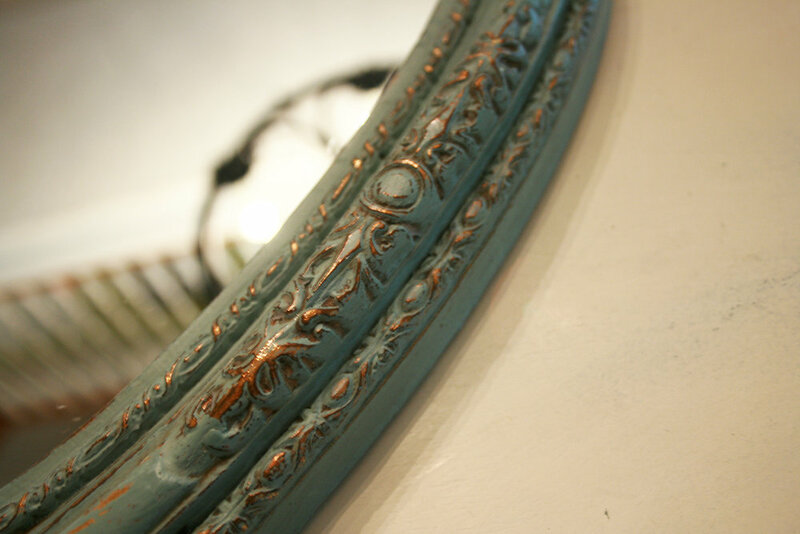 Annie Sloan chalk paint is an easy favorite for the DIYer. It requires absolutely no prep work and the end product ages beautifully, unlike other painted furniture which often chips and flakes over the years. My chalk paint pieces get rubbed and worn. As they age, they look charming, not in need of repair. I love my $5 garage sale find. It’s the perfect accent for my office and required less than an hour start to finish. This story first appeared in the Herald Times on February 10th, 2018.